For the uninitiated, YouTube TV is sort of like cable, but via YouTube. 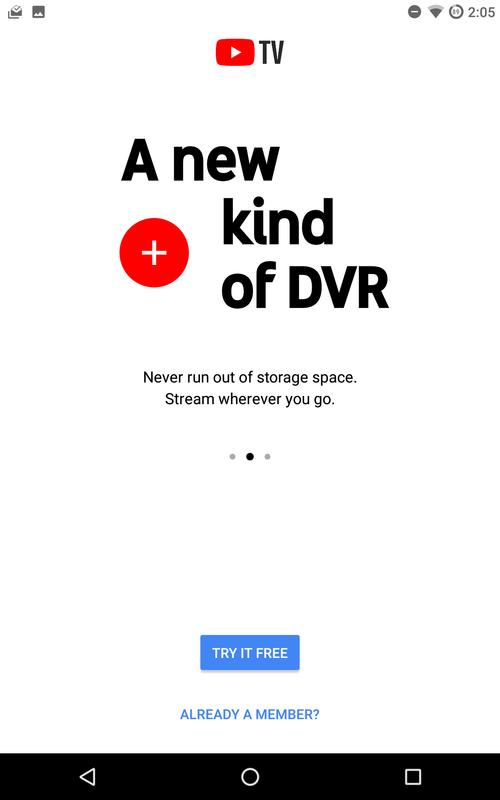 You get live TV over the internet, with app and Chromecast support, for a very affordable $35 a month. Basically, it's what everyone's been asking the cable companies for, while they repeatedly say no. You can check out our full hands-on of the service here. TL;DR: it can be a good value, but it's only available in some areas. A YouTube spokesperson did tell ArsTechnica in their review earlier this year that tablet support was coming "soon." It looks like that may have taken a bit longer than expected, but it happens. 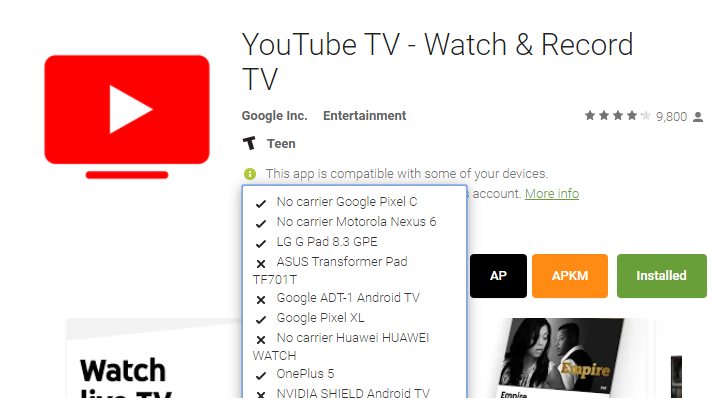 We don't have an explanation for exactly why some devices are listed as compatible while others, including Google's flagship Pixel C, aren't. We've also received conflicting reports when it comes to some devices, like the Samsung Tab S3. Again, YMMV. It might have been an accident on Google's part, and we could see support for the few tablets that have it now yanked, or it could be expanded soon. We'll just have to wait and see. It would appear tablet support was stealthily announced via the slightly-spammy YouTube TV Twitter account last week. At least it's official, now we just need to find out why some tablets aren't working yet.